We all love Android games, don’t we? They are fun, easy to play and to understand and they provide a decent method to pass the time. And still, some of them are much more than that. They can be exciting and they keep you glued to the screen on the phone for hours, wanting, needing, to play more in order to complete certain objectives or simply because it is so much fun. One of those riveting games is Zombie Tsunami. You must think “Oh, another zombie game.”, right? You couldn’t be more wrong because this game has much more to offer than you could expect. First of all, it breaks away from the cliche that is playing as the human or having the genre be a First-Person Shooter(FPS). 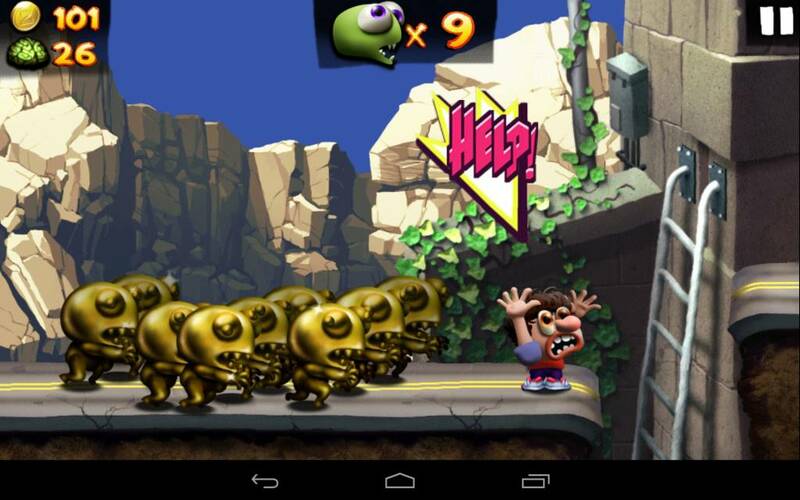 It’s a platform game in which you play as the zombies! You start off with only one and then you eat people as you go along, trying to avoid the seemingly imminent death. But if that were all, the game would be boring and you wouldn’t really have much to do other than jump over things and eat humans. Fortunately that isn’t the case, given that there are also vehicles that you can destroy and turn the humans inside, but only if you have at least the number of zombies necessary for said vehicle. This aspect really makes you strive to turn as many of those “pesky” humans as possible. Second of all, power ups! This game would be a loss let fun without the power ups, which vary. You can have your zombies become ninjas, rugby players, morph into one big zombie, have them turn into gold and turn everything they touch into the same material, or, as the title implies, ride a massive tsunami that wipes everything off and turns the humans that you encounter into zombies that join your party. You also benefit from items that fancy up your zombies and a skill tree which evolves your power ups. The way that you pay for that skill tree is through money that you get from completing objectives. And yet, you know what the greatest part about all of this is? Now there is Zombie Tsunami for PC! The game works from Windows XP up to Windows 8.1, and we’re not leaving the MAC users out of this amazing deal either! And it is all for free. All the fun that you had on your phone, on that small screen, you can now have on your personal computer. Just think about all the hours that you’ll spend playing this game on a way bigger screen, being able to see every little detail. Zombie Tsunami is released exclusively for Android and iOS mobile phones only. 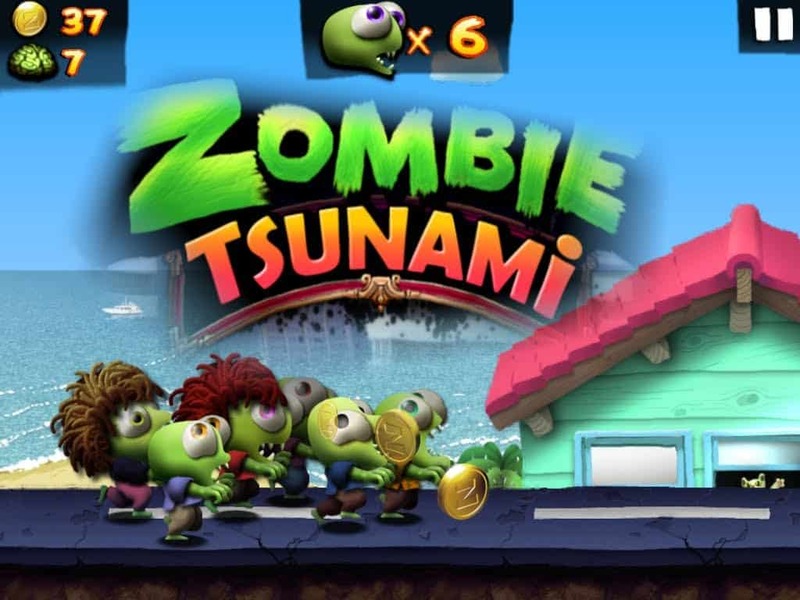 But below you can find a our guide on how to download Zombie Tsunami game for you desktop Windows PC or MAC for free. Want to enjoy a previously exclusive android game on PC, for free? You’ve come to the right place. Alternatively if you have Windows 8+ you can download and install the game from Microsoft Store to your desktop/laptop PC. I hope you enjoyed this guide, don’t forget to share. Which mobile, tablet game you want to play on your PC most? Leave you comment below.